Attention, fellow millennials: You no longer need a separate credit card for organic nut butters. 2018 was the year of getting that bread, but 2019 is all about SAVING that bread. As we all know from upsetting post–Whole Foods bank statements, there's no better way to save money than cooking things yourself instead of buying pre-made goods. Oprah was talking about MONEY this whole time! How were we so blind...? 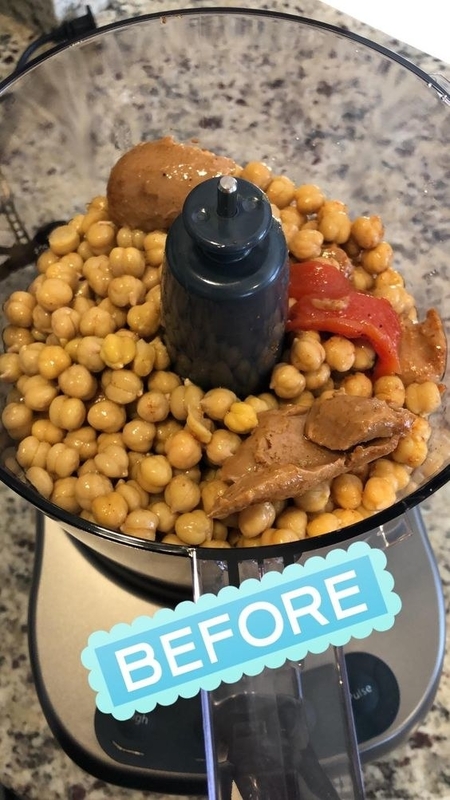 What if I told you you could save some cold hard cash by making your OWN nut butter, pesto, butter, mayo, salsa, hummus, and bread crumbs *as well as* grind meat, crush ice, shred cheese, kneed dough, and slice veggies with one simple tool? Well, you can with a Cuisinart food processor! Who is she? Oh, just one of the most versatile, time- and money-saving kitchen tools ever invented. 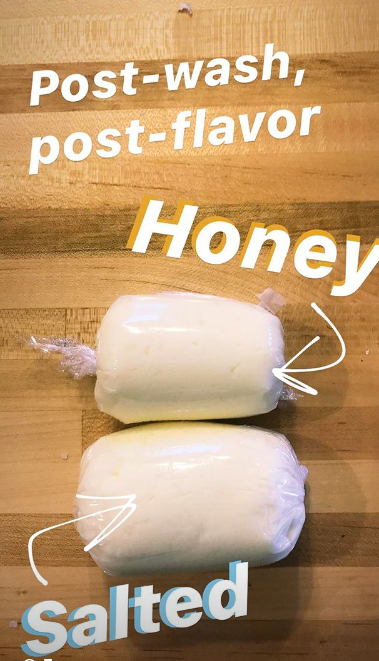 I purchased a food processor with a singular, obsessive goal: making my own butter. It was so much easier than I expected, fresher and more delicious than store-bought, AND cost less than what I would normally buy at the store. Win, win, win. All I did was pour high-quality whipping cream into the food processor and let it rip for about a minute or so. At that point, you can see the cream separate into butter solids (yum) and buttermilk (that's where it comes from!). Then, you strain the butter and wash and knead it under cold water for another minute or so until the water runs clear. Flavor that dang butter with whatever you want! I went with the ~classics~ — salt and honey — but you could use herbs, garlic, sun-dried tomatoes, cinnamon...follow your heart! Voila! Delicious homemade butter basically at the touch of a button. Thanks, food processor! Let's break down the cost, shall we? At my local grocery store, a quart of v high-quality whipping cream cost me $3.78 and yielded a pound of butter. 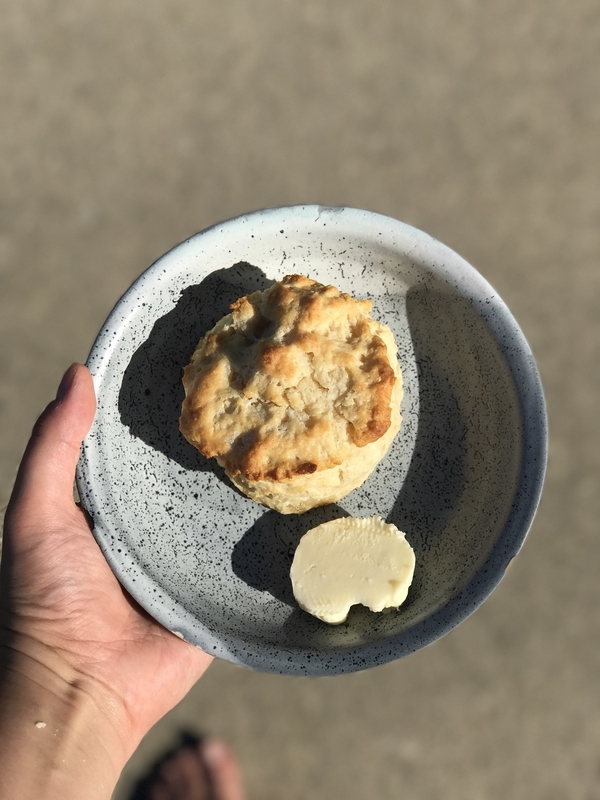 Butter from the same farm (same farm = made from the same cream) costs $9 pre-made. That's $5.22 of savings per pound to get the highest quality butter out there that would tbh normally be unaffordable! Also, shout out to the parts being dishwasher-safe. Slippery butter dishes are NOT my jam! 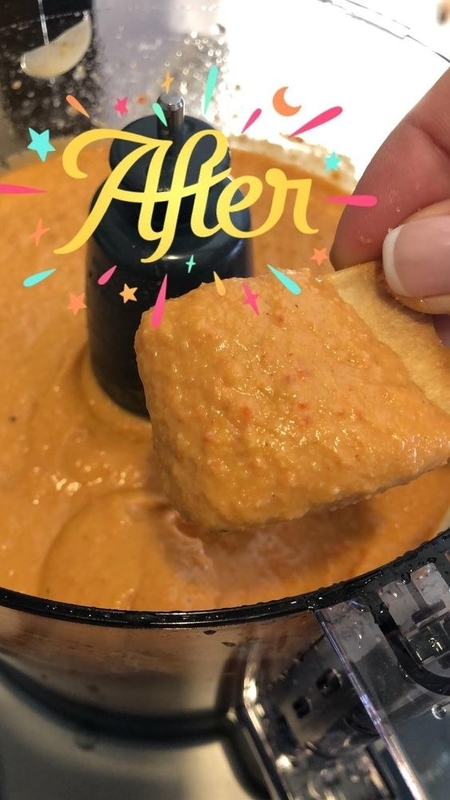 That's just ONE example of what this baby can do — and it's obvi not just me thanking the angels at Cuisinart for this gift from above. Amazon reviewers are *loving* its quality and versatility. Look at this delish hummus! Bonus: This machine doesn't just process. It has additional time-saving features to help you with virtually any kitchen hassle. It comes with two reversible shredding and slicing attachments to make quick and simple work of food prep that would normally take 5ever! You can ALSO save money by shredding your own cheese and veggies! Pre-shredded is basically code for "twice as expensive." It also has a slow-stream feed for emulsifying olive oil into things like homemade mayo or Caesar dressing! Now you don't have to slowly and carefully drizzle oil for minutes at a time because the food processor does it for you! Truly your new sous chef. Do you have a baby? You can easily make baby food in a food processor, which saves you crazy money AND lets you know exactly what's going in your baby's precious tummy. Here are some useful tips for making your own baby food and a roundup of Tasty's baby food recipes for some inspo! TL;DR: This Cuisinart processor can do it all. It saves you money when you're in a DIY mood and can literally *chop* prep time in half. I would hug this thing if it weren't full of knives! Jk, I'll lovingly embrace it anyway! Get it from Amazon for $67.55. Need more kitchen goodies? Let's get cookin'!